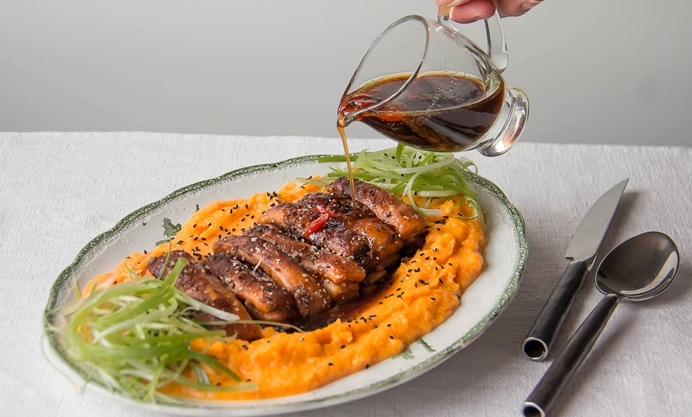 Dive into Rosana's sublimely crispy slow-cooked pork belly recipe, braised in a dashi stock made from kombu and bonito for an extra umami depth of flavour. Served with a sweet, nutmeg-spiced pumpkin mash, this is a beautifully warming twist on a Sunday roast. 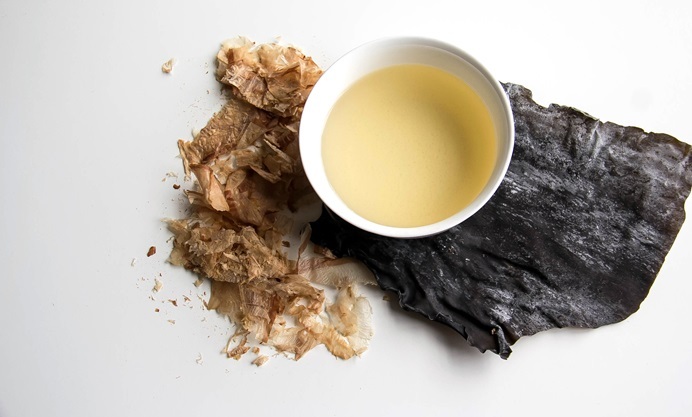 To save time, you can use a good-quality instant bonito dashi stock for this recipe. Dashi is usually used in Japanese dishes like miso soup, noodle soup, and tempura dipping sauce. However, with a bit of imagination, it can be used in Western recipes, much as you would use any other stock in your cooking. Generally speaking, the use of dashi to steam meat and keep it succulent is not very common, but it's an excellent way to add fragrance and depth of flavour to meat, as is the case with this dish. The liquid from the roast can then be used to make a sauce or gravy as you would when making a roast dinner. 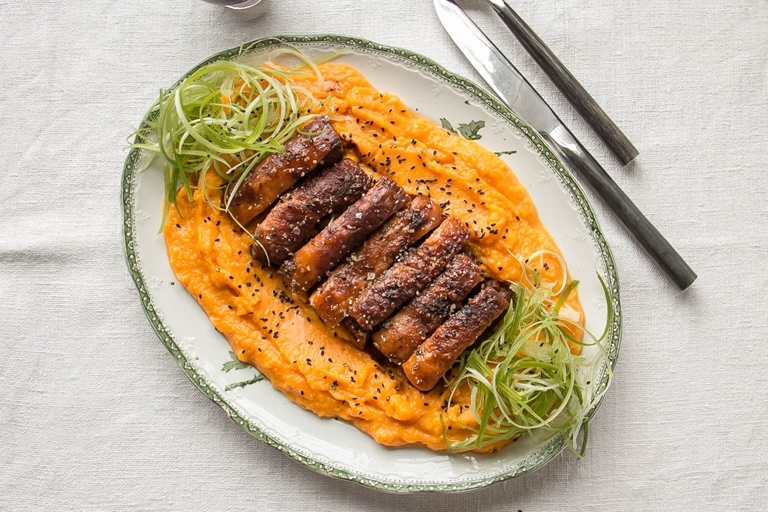 In this recipe, the classic dashi made from kombu and bonito flakes enhances the dish and gives the meat and pumpkin mash a beautifully intense flavour. Enjoy!